It was a Saturday. It was Hunter Pence Bobblehead Day. 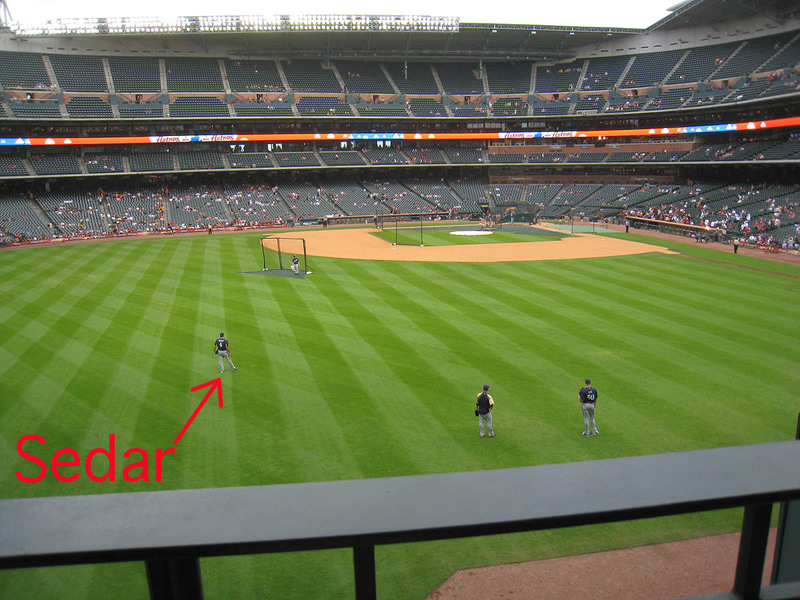 And Minute Maid Park was packed for batting practice. 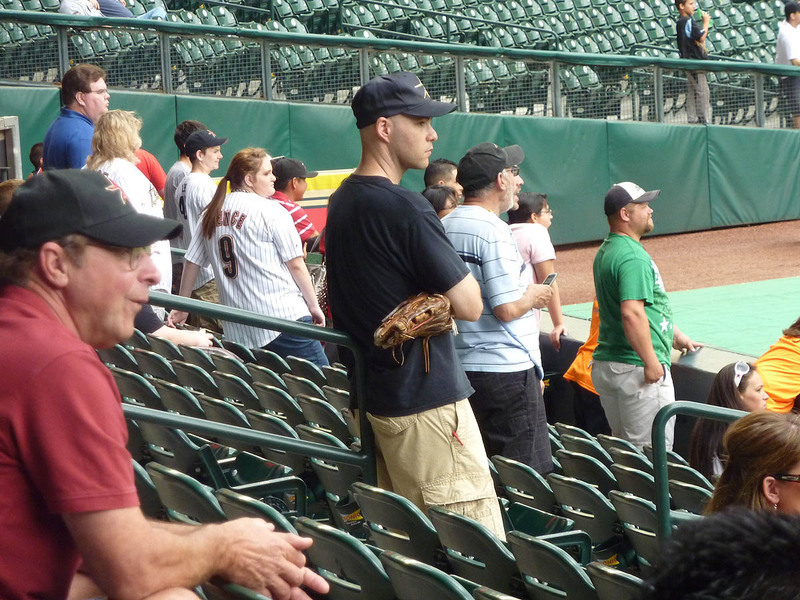 That’s me in the tan pants and black shirt; my friend Mike Miles was with me again and had his camera. 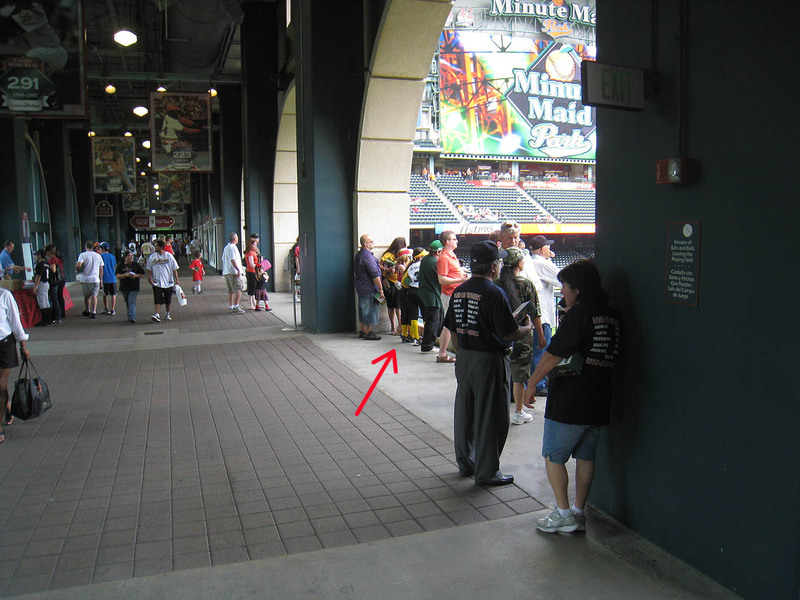 …but I chickened out because there was a nearby security supervisor patrolling the section. 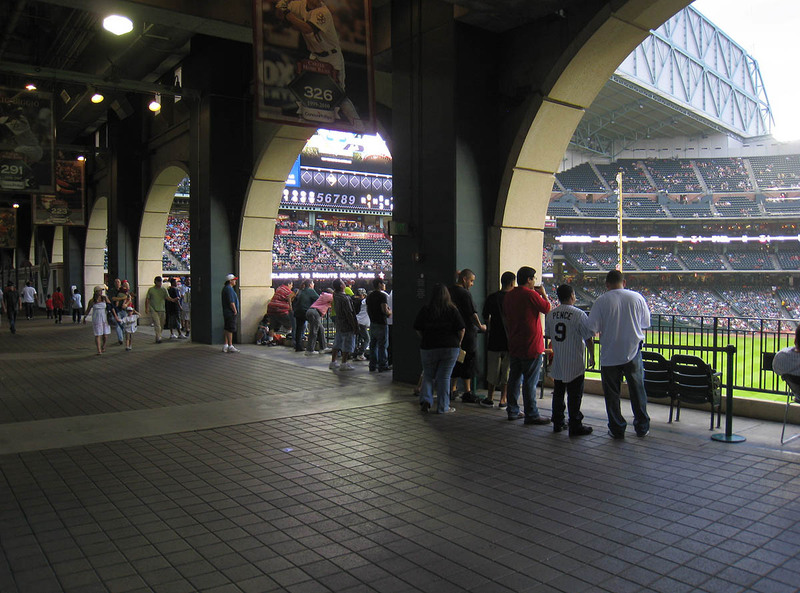 I abandoned right field and headed for the concourse behind the arches in left field. 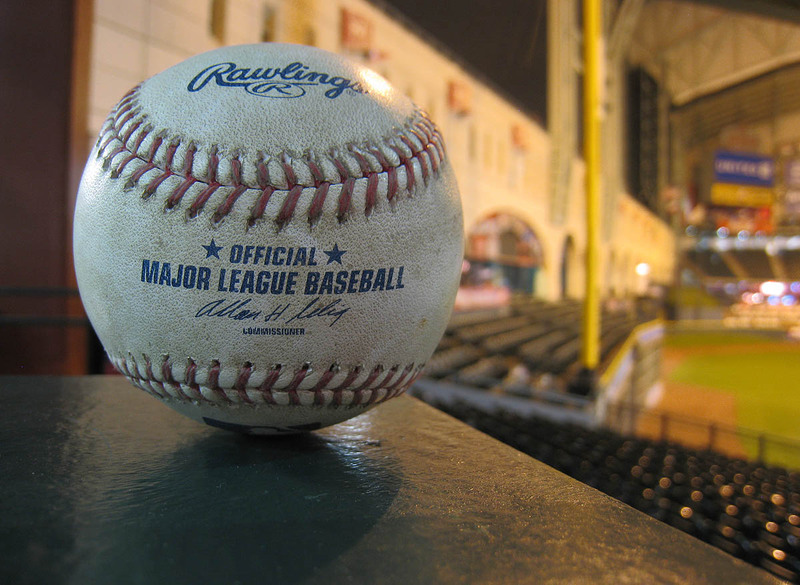 During the half hour that the Astros were hitting, I managed to snag one ball there. It was a home run (not sure who hit it) that deflected off someone’s glove and trickled into the walkway. I darted over and lunged for it, and just as I snatched it, a 50-something-year-old man came flying out of nowhere and dove/fell at my feet. I asked if he was okay, and even though it wasn’t my fault, I apologized for the scuffle. He was totally fine and laughed it off, and as I reached out to help him up, he congratulated me for the nice grab. Later on, I ended up giving that ball to a kid. That one felt good, although I’m sorry to say that I don’t know who hit it. The photo looks totally posed/staged, but it wasn’t. That’s just how I was standing there. I didn’t even know that Mike had taken this photo until we got back to his place at the end of the night. 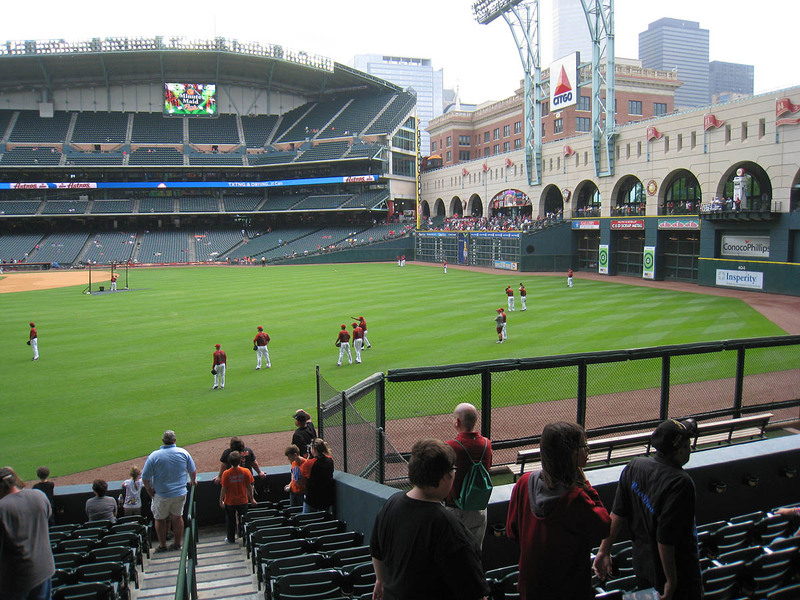 Minute Maid Park is beautiful, though not the easiest place to snag baseballs. 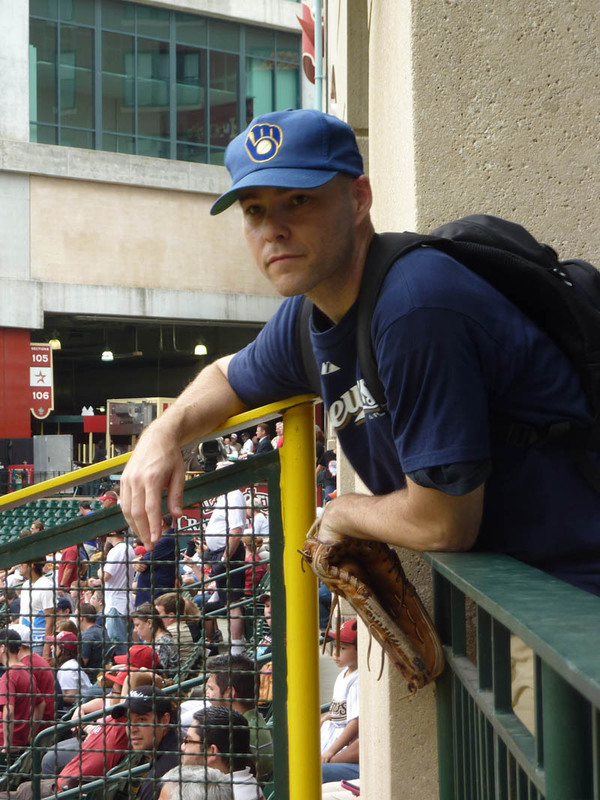 When the Brewers cleared the field, bullpen catcher Marcus Hanel tossed me my 4th ball of the day. 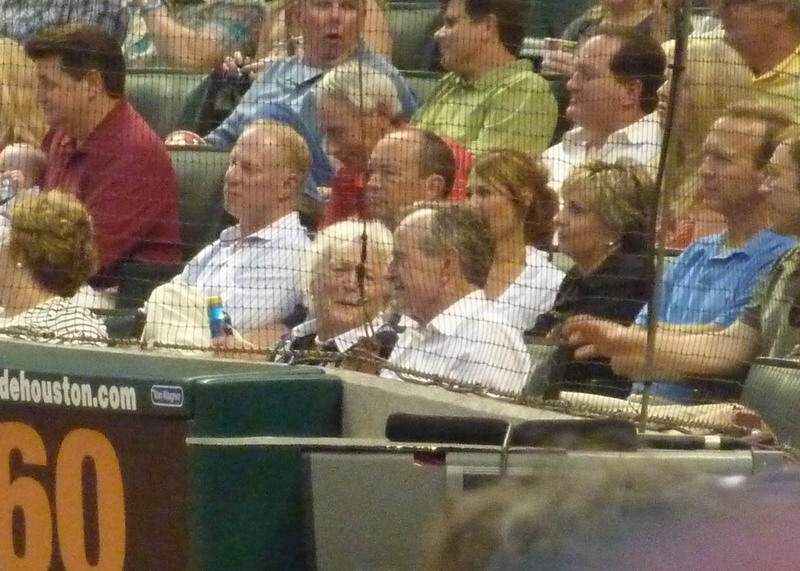 As you can see, they’d brought their copies of my last two books — Watching Baseball Smarter and The Baseball. 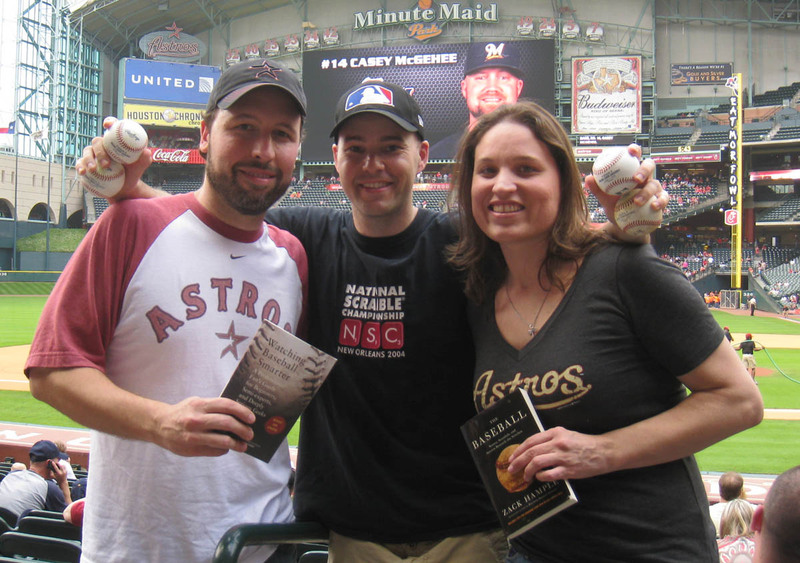 After I signed the books for them, Mark generously treated me to a much-needed bottle of water, and we all ended up sitting together for part of the game. 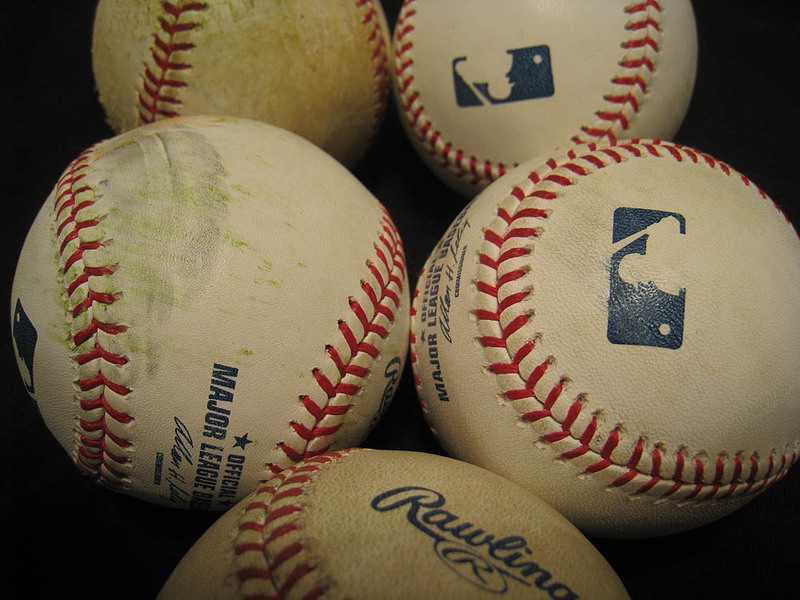 As I’ve mentioned many times before, some teams mark their baseballs to prevent their own players and employees from stealing them and getting them signed. 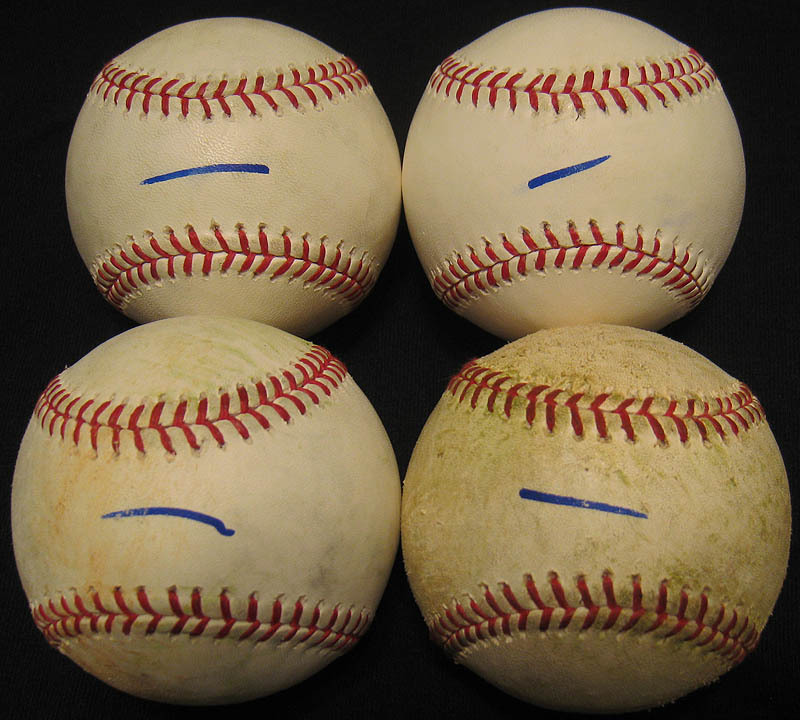 When I visited Miller Park two years ago, the Brewers marked their balls more creatively, but hey, we’re in a recession now, so I guess they need to save money on ink. There was no action for me, but at least I got to see a great game. 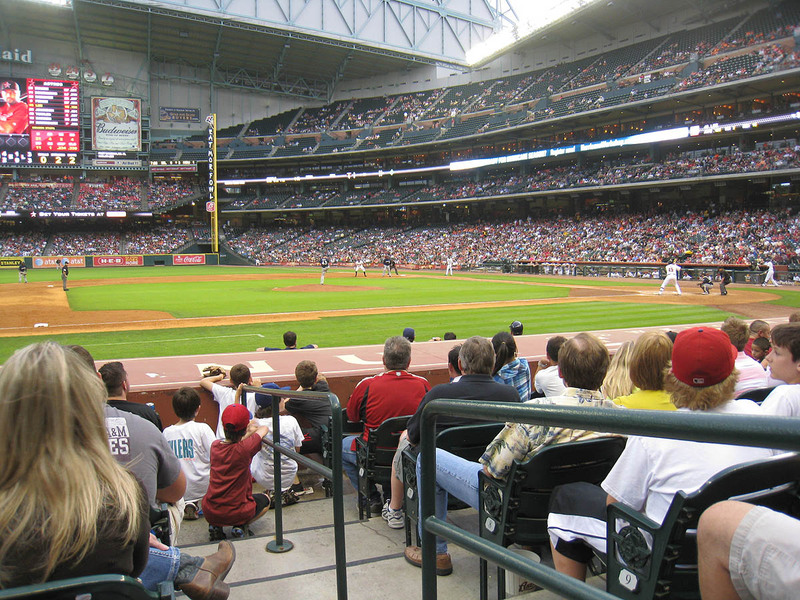 Wandy Rodriguez pitched eight scoreless innings, and the Astros took a 1-0 lead into the top of the 9th. 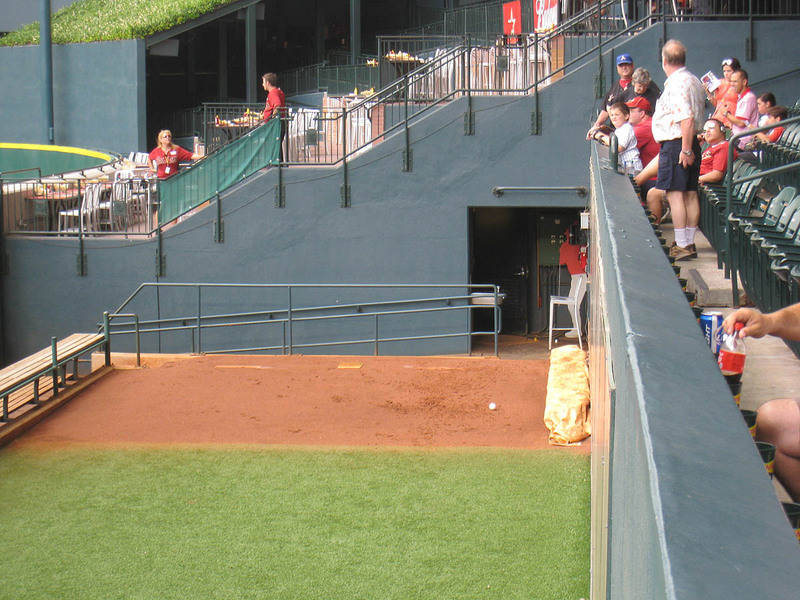 Brandon Lyon entered at that point, and after retiring Ryan Braun, he surrendered a one-out bomb to Prince Fielder. I was all set for a 24-inning game, but with two outs in the bottom of the 9th, Jason Bourgeois sent everyone home (and made a winner of Lyon) with an RBI single. Final score: Astros 2, Brewers 1. On a final note, I want to give a shout-out to an 11-year-old kid named named Angel, who emailed me weeks ahead of time to let me know that he was going to attend this game and that he really wanted to meet me. We had discussed a bunch of times and places where we might be able to connect at the stadium, but it never happened. Angel, if you’re reading this, I want you to know that I looked all over for you, and I’m sorry we didn’t meet, but I really appreciated all your emails, and I hope we’ll find each other next time. • 184 balls in 22 games this season = 8.36 balls per game. Gotta love those invisible ink stamps. Zack – it was great to finally meet you and it was a nice surprise to get to see so much of the game with you and your friend, Mike. I really enjoyed hearing part of your thought process and plan and to see you in action. Fun stuff! I normally don’t like to point out errors to people (imagine that) but I just thought I’d point out that in your last Houston entry you put Mike as Mike Mikes. Instead of Mike Miles. Though, double names are awesome. I wish I was named Matt Matts. How cool would that be! Other than that, GREAT entries from Texas. 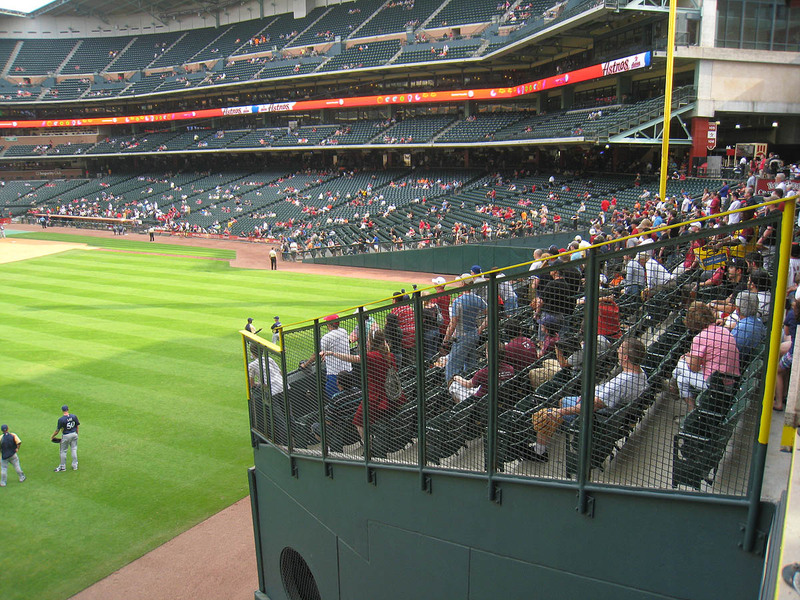 I think you’ve sufficiently scared me into how difficult it will be to get a ball in Houston. I’ve always thought that Minuet Maid was an easy place to snag- apparently it’s more crowded than I thought. 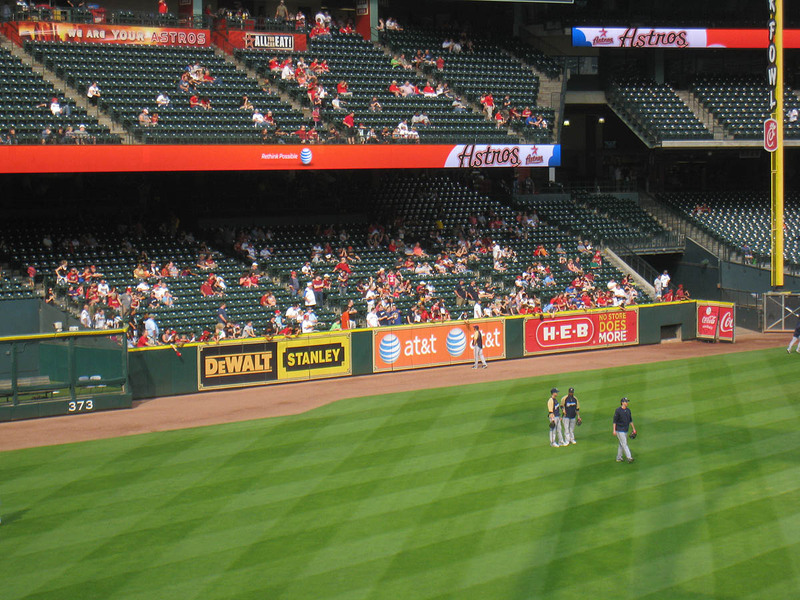 Just be glad a popular team like the Yankees doesn’t play there. That’d be a nightmare. Hope to see you in Toronto around Memorial Weekend. Trust me, we get our share of bandwagoners every time the Cubs, Braves, or Cardinals set foot in the house. Zack, it was so nice to finally meet you and hang out some. Thanks for signing the books. Hope you come back sometime even though the snagging is tough here. Or maybe we’ll see you there one day in NY! 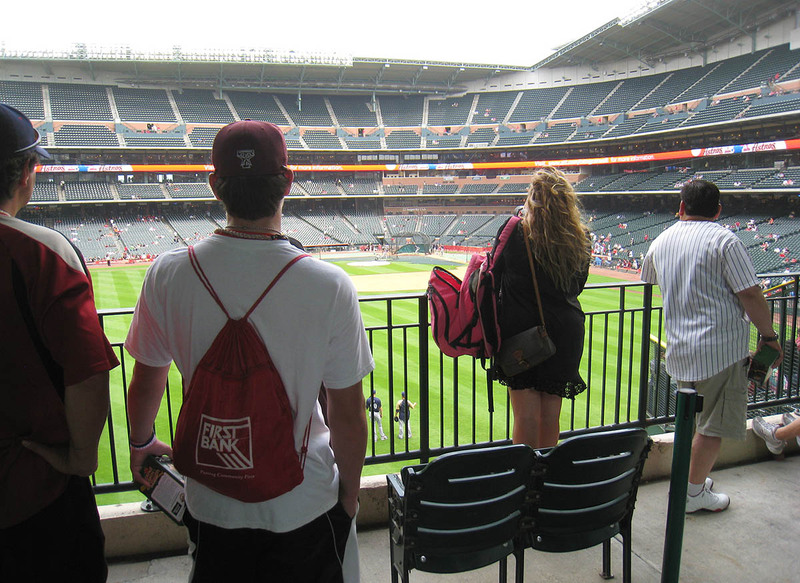 Great Texas trip.. Where to next? I just created a blog. If you wanna look at it type in rangersbiggestfan.mlblogs.com. Thanks for reading this. Same here. It was great meeting you and getting to hang out for a few hours. Thanks, but jeez, next time you should just email me privately rather than pointing out my error for the whole world to see (in case they missed it the first time). What’s funny is that after I posted that entry, I read through it with Mike, and even HE didn’t notice the typo. Awesome stuff about the Teixiera retweet. You are amazing. 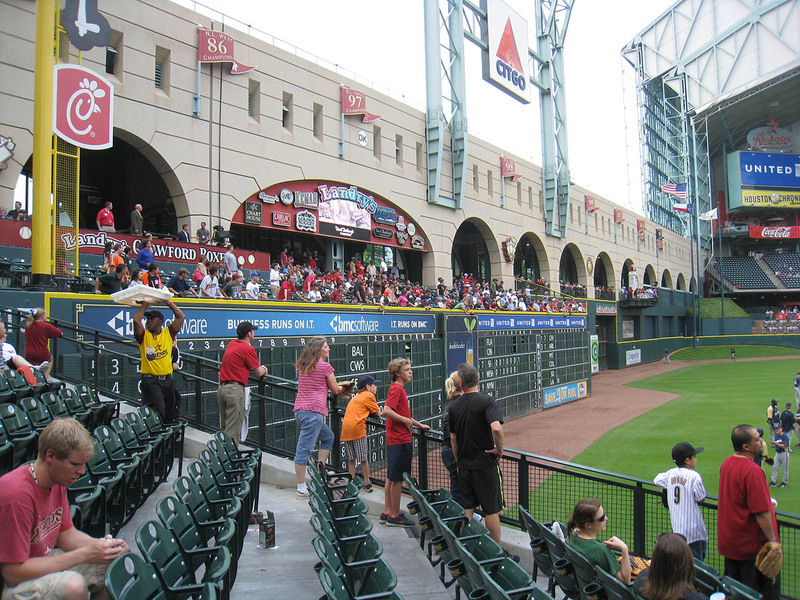 Yikes, I don’t want to imagine what this place would be like with the Yankees in town. See you in Toronto in a few weeks. I can only imagine. 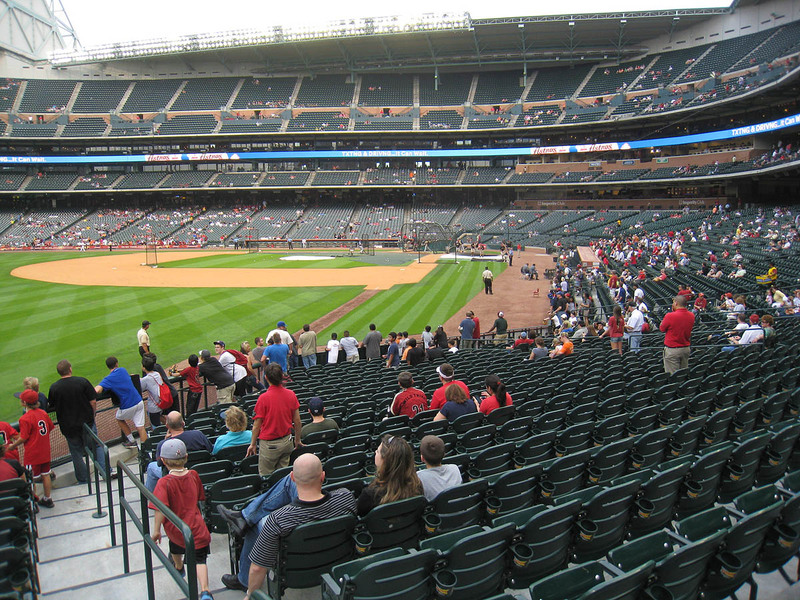 Last night at Citi Field, all the band-wagon Giants fans showed up. The next time I get on a plane will be my Toronto trip at the end of the month. Congrats on the new blog, but I actually can’t seem to load up the page. Did you type the URL correctly? Let me know. I’d love to check it out.